Margie is a graduate of the University of Sydney and has worked in general practice, specialist hospitals and veterinary teaching hospitals. She is a member of the Australian and New Zealand College of Veterinary Scientists, Anaesthesia and Critical Care Chapter, and a Diplomate of the American College of Veterinary Anesthesia and Analgesia. Margie worked at Washington State University (WSU) College of Veterinary Medicine, as an assistant professor for six years and this is where her passion for teaching and learning, and her interest in communication developed. In 2010 Margie moved back to Australia and worked for the University of Adelaide as a senior lecturer in veterinary anaesthesia and expanded her knowledge and experience in teaching and learning. Margie joined the UQ Gatton Veterinary Medical Centre (VMC) team in February 2015 and is head of the section of anaesthesia and analgesia. 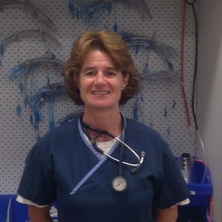 Margie’s interests are in pain management, equine anaesthesia, teaching and learning, and communication.